Do you have an aging gas line that needs to be replaced? Call your local Annapolis gas line experts for immediate repair, replacement, and leak detection. Contact us today at (410) 268-7191. Note: If you start to feel nauseous or smell a rotten egg odor in your home, you may have a gas leak. Leave your property at once. Do not turn on any electronic devices. Once in a safe area, call your local gas company to report the leak. Gas line problems can create dangerous situations. 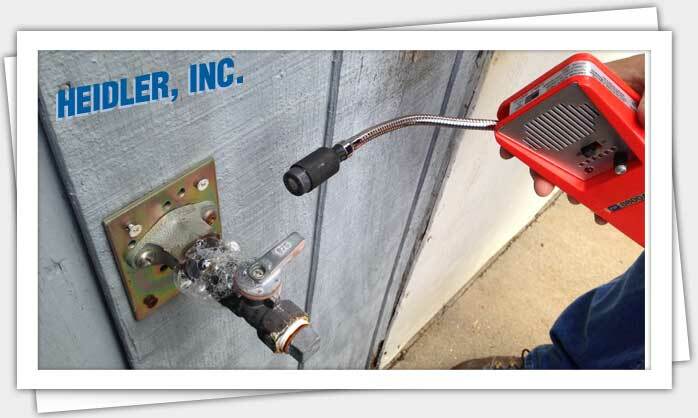 Make sure to call your Annapolis gas line professionals at Heidler, Inc. to have your line inspected so you can avoid further problems. Our full-service solutions ensure improved gas line efficiency as well as your home’s safety. Click here to read the latest customer reviews from your neighbors. You can count on quality solutions and top-notch service. What are signs you need to repair or replace your gas line? Leaks: If your gas line is leaking, timely replacement is imperative. Never attempt to work on a gas line on your own. Make sure to consult your gas line professional for any repairs or replacements. Corrosion: If your gas line is corroded or worn down (particularly around connection joints leading to the water heater or oven), you may need to consider replacement. Corrosion will continue until there is a leak, and it is best to handle the problem before it reaches that point. Exposed lines: Your gas line will be exposed in certain parts around your property for connection purposes. However, if you see an exposed line due to erosion or severe weather, we recommend having your line examined by a professional. Age: Pipes will naturally break down over time. If your gas line is more than twenty years old, it may be time to install a replacement to ensure the safety of your home and family. How can you tell if there is a gas leak in your home? Rotten egg odor: To make it easier to detect a leak, gas companies have added a chemical called mercaptan into the supply; this chemical produces a rotten egg smell in the event of a leak. If you encounter this smell, do not turn on or unplug any appliances, as any spark can set off the fumes. Dead or dying vegetation: If your gas line runs through your yard and there are areas where the grass seems to be dying, this could signal a gas leak. Contact us to inspect the area and repair or replace the gas line. Hissing gas line: Even if you cannot smell a leak, listen for a hissing sound near your gas line or appliances. This can point to a gas leak. If you notice a problem with your gas line, call us for an inspection. We will check for any leaking and repair or replace your line without hassle. Do you need to repair a damaged gas line? Suspect a gas leak in your home? Call us today at (410) 268-7191 for immediate solutions. We are available 24/7 for emergencies.